YES! Another exhibition is coming up. This time again in the southern part of Germany, Bad Buchau to be precise. A town not far from my hometown Ravensburg that I grew up in. The exhibition is titled “Menschen” (meaning “people” in English). It is a mix of paintings I did between 2007 – 2014. The works have been inspired by people that I meet during my travels – friends, acquaintances, random meet ups that influence you in one way or another, big or small. The exhibition is dedicated to those people. 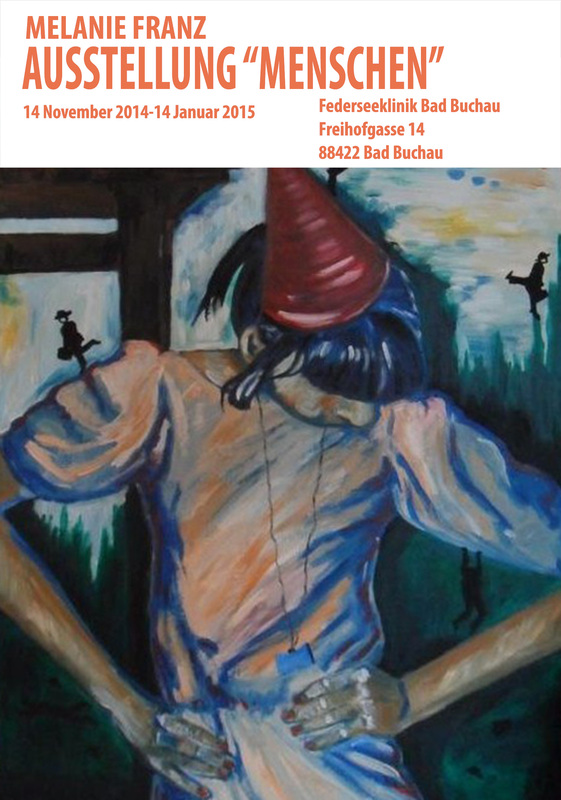 Fundstück: Pressetext der Federseeklinik zu meiner Ausstellung.